One of my kids has asthma, and as any parent will tell you, an asthma attack can be scary. Although medications do help, I like to help my kid manage his asthma symptoms as best I can at home with natural remedies. This is why I was so excited to discover the benefits and uses of Palo Santo essential oil. I found out that this wonderful essential oil has several health benefits. I can also use it around the house for various activities and chores. I rounded up my top six favorite uses of Palo Santo essential oil, and I’m going to share them with you. You can make a tea with Palo Santo oil for your kids or anyone in your family. Get one cup of hot water. You don’t want it boiling because this will break down some of the ingredients. Add one tablespoon of coconut oil, half of a tablespoon of raw honey, and one or two drops of Palo Santo oil. I like to make myself a nighttime sleep blend for my bath, and Palo Santo essential oil blends well with floral scents. I mix one cup of Epsom salts with four drops of Lavender essential oil, four drops of Palo Santo essential oil, and two drops of Mandarin essential oil. I pour it all into my bathwater and soak. It helps me relax and get ready for bed. 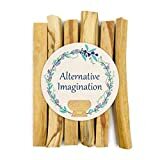 For thousands of years, various people used Palo Santo oil to cleanse their bodies and homes, so I wanted to try it in my own home. I got an eight-ounce spray bottle and added two cups of water with eight drops of Palo Santo oil, four drops of cedarwood oil, and four drops of jasmine. It does have a powerful scent at first, but it smells lovely as it dries out. I like to use Palo Santo oil at night before I go to bed. I dilute a few drops of oil into the water and use it as a light face scrub. I let it stay on my face for two or three minutes before I rinse it off. It takes any makeup residue, oils, or bacteria that can cause breakouts on inflammation. My whole family likes the fresh and woody scent of Palo Santo oil. This means that I can use it around the house to freshen up the smell, and it’s a great deodorizer. This is especially true when I forget clothing in the laundry for a day or two. Who hasn’t forgotten about a load of laundry, and you get hit with a musty smell when you do open the washer? I make a quick deodorizing spray with eight ounces of water and a few drops of Palo Santo oil. I also like to add lavender or citrus-based oils for a slightly different scent. It stops mold from growing, and it keeps my clothes smelling great wash after wash! My kids love to have Palo Santo oil added to their baths because it helps them relax and get ready for bed. I add a few drops into their bathwater when I’m running it and swirl it around. The warm water diffuses the oil and leaves a calm and comforting scent that radiates from the water. My youngest had a problem with dry and flaky skin, especially on her scalp. I mix three or four drops in with their shampoo. It gives it a great smell, and it helps with their dry skin. Additionally, it’s also a great repellent for lice. What mom hasn’t felt dread when they get that email saying one kid had it during their annual check? If you plan to use Palo Santo oil topically, you have to dilute it. 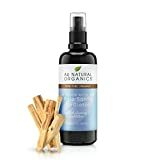 This can be intimidating for people who are new to essential oils, and Au Natural Organics Palo Santo Hydrosol takes the worry away. It’s already diluted when you get it and ready to use. This product is excellent to use on your skin for topical applications, and it’s also excellent for meditation or getting ready to do yoga. You can spritz it around your room or on yourself without a problem. Since it’s diluted, it also has a slightly light scent. These wild harvested Palo Santo incense sticks are perfect for burning around your home. They release the typical fragrance that you would expect, but it’s not as overpowering as the oil can be. You can pick from 6, 12, or 20 sticks, and each stick is roughly four inches long. The wood is slightly porous, and this means that it’ll go out on its own relatively quickly. You’ll be able to make it last longer, and it’ll go out before the scent gets overpowering. They’re very good for beginners and people who would rather use incense sticks than essential oils. This essential oil is very concentrated, and it can cause skin irritation if you apply it directly without diluting it. Do not use this oil on children under five, if you are pregnant, or if you’re breastfeeding. Test this oil on a small patch of skin before widespread use because it can cause irritation. Speak with your doctor before ingesting Palo Santo oil, even before you dilute it in a tea or drink. Always use high-quality and 100 percent organic, pure essential oil. As this is a stronger oil, you want to keep it out of your children’s reach. Don’t use Palo Santo essential oil on your pets because it can be toxic, even in small doses. Did you like my list of the benefits and uses of Palo Santo essential oil? Perhaps you have a favorite blend of essential oils featuring Palo Santo oil that I didn’t have on my list. Either way, I want to hear from you! I want you to tell me about your favorite uses of this oil. Tell me what you thought of my post in the comment section below, and share if you liked it!